Detroit Social Club EP Launch Images Published On Glorious Noise, originally uploaded by david.wala. 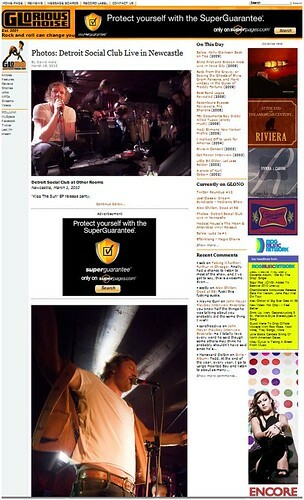 I was pleased to see my photographs of a local band to Detroit Social Club getting some publicity in the USA on a site that attracts over 45,000 unique visitors per month. Hopefully they will become even bigger than Newcastle Brown Ale in the USA. 2010 looks like being a big year for Detroit Social Club.